Swindon and Gospel End area. and Wolverhampton, Langley Road bus stop. Wednesdays and Thursdays, 10am to 3pm. 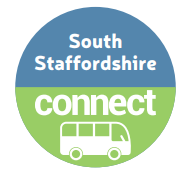 local, bookable bus service is here to help you live the Good Life in South Staffordshire. • Doesn’t live near a regular bus route. • Finds it difficult to use standard buses. 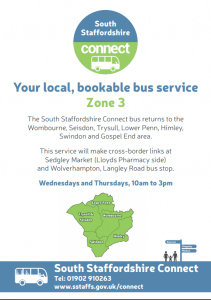 • Wants to make a journey which is not possible by a regular bus route. 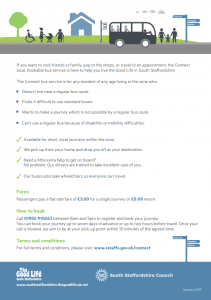 • Can’t use a regular bus because of disability or mobility difficulties. Available for short, local journeys within the zone. We pick up from your home and drop you off at your destination. Need a little extra help to get on board? No problem. Our drivers are trained to take excellent care of you. 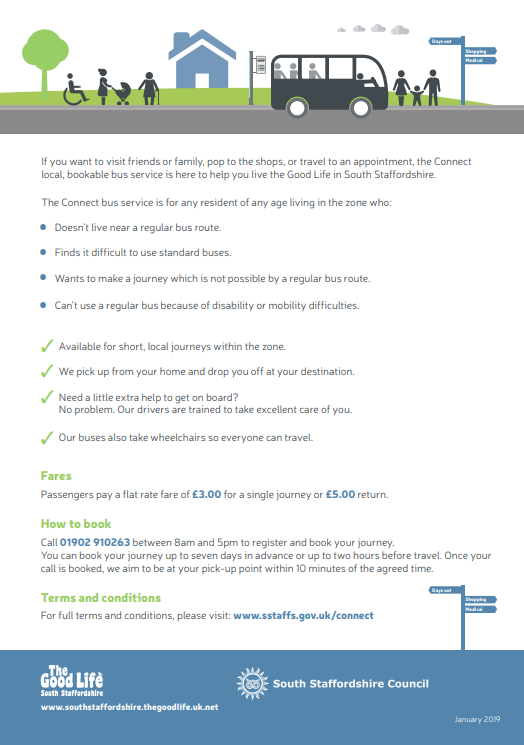 Passengers pay a flat rate fare of £3.00 for a single journey or £5.00 return. 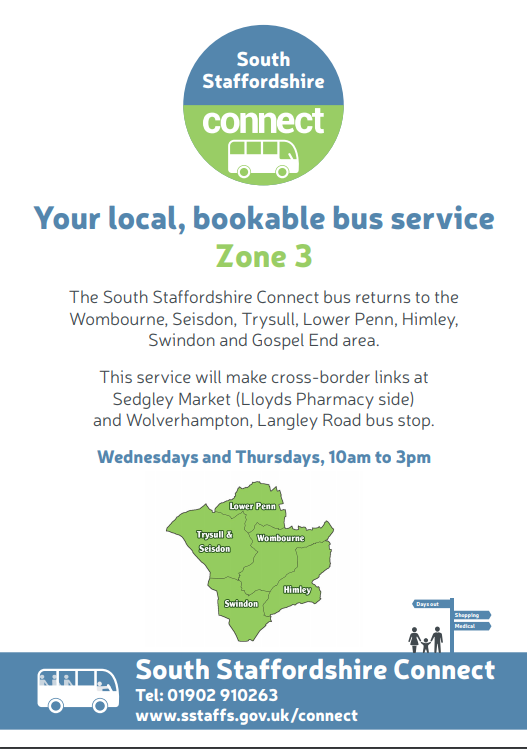 Call 01902 910263 between 8am and 5pm to register and book your journey. call is booked, we aim to be at your pick-up point within 10 minutes of the agreed time.